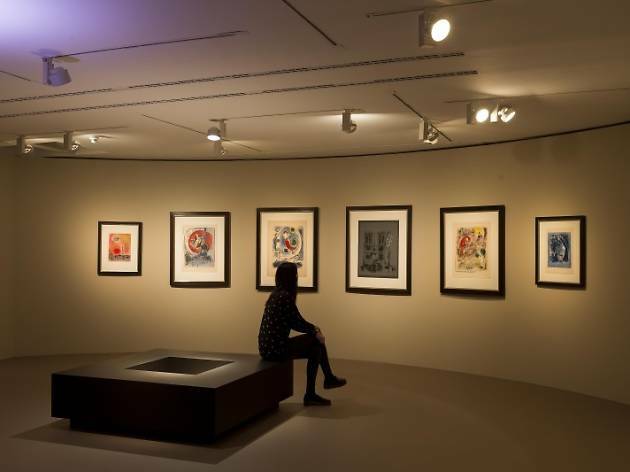 This exibition focuses on the graphic works of Marc Chagall (1887-1985), on of the most relevant painters and graphic artists of the 20th century. 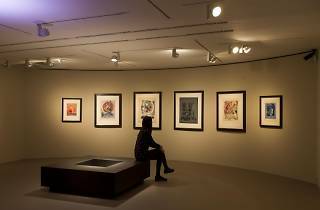 This show, which covers nearly four decades of his artistic activity, includes a total of 100 pieces on paper that come from the 'Marc Chagall Collection C.S. Paris' archives from the Kunstmuseum Pablo Picasso Münster (Germany) that relfect the intense and surprising connection between the sacred and the profane in his works. Both concepts come together to become one entity in Chagall's artistic universe: the divine expands toward the human, and the human toward the divine, meeting to cohabitate in the same space as a consequence of his artistic vision: a synthesis of personal, mythical and religious experience.